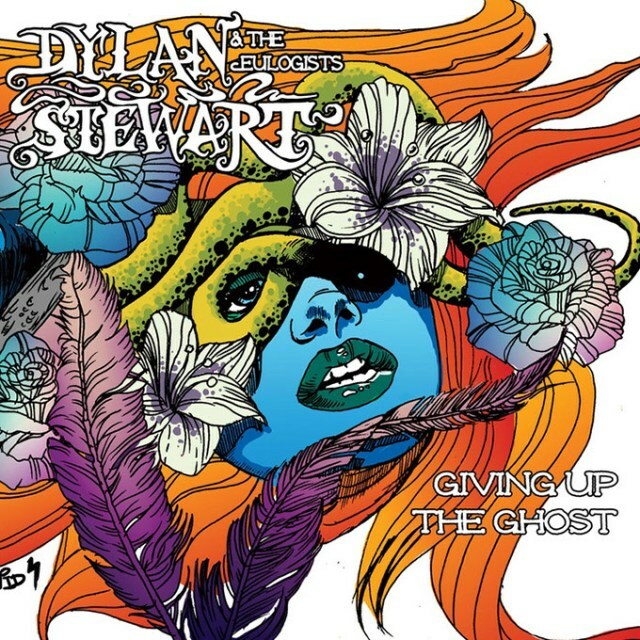 Dylan Stewart & The Eulogists’ first album Giving up the Ghost is being released February 5. The band includes Stewart on lead vocals and guitar, Jake Adamson on guitar, Caleb Story on bass and Matt Unruh on drums. The album was produced by Mike McClure and Jon Knudson (Whiskey Myers). I really like the album art, which is vividly colorful and almost whimsical in a way. It was created by Minneapolis artist David Paul Seymour who has created other works for bands such as Clutch, Mothership and Jimi Henderix. The album was mixed by Trent Bell at Bell Labs in Norman, and mastered by Garrett Haines of TreeLady Studio in TurtleCreek, PA. You’ll hear some fantastic guest musicians on the album including Samantha Crain, Travis Linville, Taylor Reed, Camille Harp, Mike McClure and Jon Knudson. “Stay in Tune” is a good choice to start out the album. It’s a rather upbeat song that has a catchy beat and tune. However it still has Stewart’s signature melancholy spin in the lyrics, it holds themes of loss and regret, heartache and trying to make it through even when life is hard. You’ll also hear some familiar names in there; Adam Carol, Sam Crain, John Calvin and Guy Clark are all mentioned in the lyrics. You’ll also hear the lovely and talented Camille Harp singing on this track. “Highways and Oceans” is a lovely tune, a little softer and sweet. Samantha Crain can be heard lending vocals in the background. It’s a song about the pull of the highways and oceans calling you away; away from a love, away from home. But then again it’s filled with so much more than that lyrically. The song’s swift pace and accompanying instrumentals give it an almost perky sound, and Stewart’s switch from a softer singing voice to his signature gritty voice lends it the perfect balance for this song. “Monster in Me” was co-written with Mike McClure. This one slows us down a bit, filled with poetic lyrics laced with plenty of symbolism. It’s almost like a haunting fairy tale of love found and lost, with a chorus that repeats “forever after, never more…” Crain’s backing vocals are on this song as well. It’s got a hauntingly beautiful quality to it, especially at the end with Cain’s and Stewart’s voices mixed softly at the end. “Hospital Bed” was a song Stewart wrote after visiting Chad Sullins in the hospital after his heart attack. Sullins covered the song on his last album, Wake up Call, although he put his own outlaw mark on the song, adding much more attitude. Stewart’s version is a slower, more sorrowful one. The harmonica woven throughout also gives it a more folk/Americana sound. It’s well written and offers a pretty accurate look into the event and persona that helped inspire it. “Low Down” speeds us back up a bit, with a lively pace and rhythm. It definitely has the southern gothic rock sound going on in it, with the dark undertones. Crain sings the almost eerie, ghostly backing vocals. Stewart’s lyrics in this song and throughout the entire album have depth, symbolism and poetry all woven into them, making them rich in visual imagery as well as storytelling qualities. “Favorite Pair of Shoes” is a down tempo song. It takes us on a leisurely pace through a series of memories, laced with nostalgia and sorrow. It’s definitely heavy hearted and draws on your emotions. It’s soft and sweet in a heartbreaking sort of way. “Weeping Willow” is an upbeat tune, with a steady tempo and a lively rhythm. It’s a toe tapping tune for sure. Although the song seemingly centers on a weeping willow tree, it seems to be more symbolic of a person and a relationship rather than an actual tree. Stewart is skilled at painting images and portraying themes in a symbolic way. His songwriting and wordsmith skills have only gotten stronger and more complex on this album. 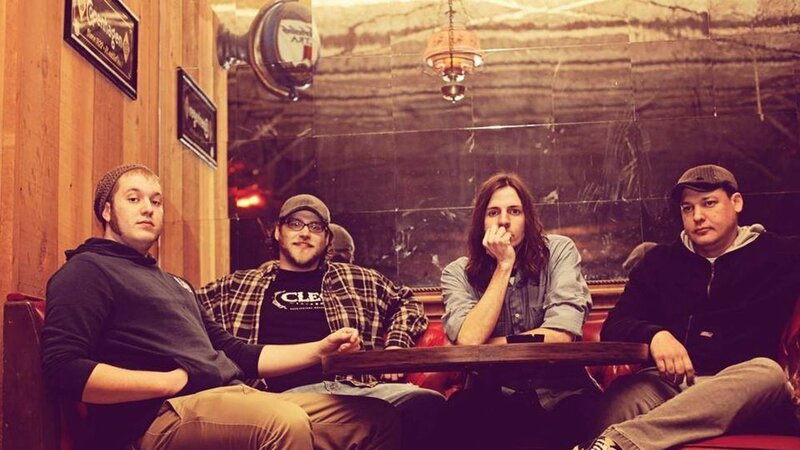 “Cleveland County Wine” has a great mix of instrumentals, and has an almost frantic pace at times. It’s a good storytelling song, taking you on a ride through some interesting characters and scenarios. It’s a song that makes it hard to stay still, it makes you want to dance and move. It’s got the haunting sounds of a violin woven in at just the right times. “Last Call Avenue” is aptly titled to end the album. At just over six minutes, this song is lengthy, but worth it. It’s slow and steady, full of remorse and regret. It’s a mournful song, but it also has a lovely quality to it, mixing the beauty and sadness. Crain sings backing vocals, adding another layer of ethereal beauty to the mix. Overall I thoroughly enjoyed this album, and am pleased to see the growth and evolution of this band from Stewart’s previous projects. I don’t think that this album has as many dark themes or as much of the gothic quality as Stewart’s previous albums have had, although those things still linger in it. However there is a newfound hauntingly beautiful quality that is woven throughout with melancholy and profound poetic lyrics that add a whole new layer and depth to this album. You’ll definitely want to get your hands on a copy soon and check it out for yourself. You can do so at one of the band’s album release shows, or online. You can find out more about the shows and places the album will be available at dylanstewartmusic.com.